A lot of people have been asking us of late where we are with the new album. At the moment we are still effectively writing it, and are taking our time over the process. Basically the way we are working this time is one of us is coming up with the idea for a song before sending it over to the other band members. We learn the song at home and come together to jam it in rehearsals where we make any necessary changes. We will do this until we are comfortable with it, we then “road test” it by playing it live before going back into the rehearsal rooms for a final run through. We then record the demo which will be used as the “ghost track” for when we come to record the song for the album. They may get changed further before we head into the studio or even while we are working on the actual album. The idea is this time we are giving ourselves the time to be able to ensure the songs are as strong as they can possibly be for this album and to ensure the process is efficient as possible. On the previous record The Waystone we were rushed into the studio by our then record label and although we are very proud of that album, had we been given a few months extra and some more studio time it could have been even better. We now play the songs from The Waystone live in the format we wish we had recorded them in then but weren’t given the opportunity to due to the restrictions before. The label also had a lot of say on how the album sounded and in some cases it suffered for it as they did try and make us sound too much like another band on their label, and too much like Iron Maiden when in truth we are and always have been a heavier band than Maiden is. We haven’t even started to think about booking studio time as of yet as we are writing so much very good material this time that it’s going to be hard to nail it down to just ten songs and we are all enjoying the process of writing presently. It’s the first album that this line-up has produced together as only I and Chris remain from the previous album, Saxon joined shortly after The Waystone was released when he toured with us in support of Mordred and Stephen replaced Dan in the band when he departed back in August. This line-up definitely has its own particular feel to it over the previous ones and it’s a very positive feeling right now. Chris and Steve have previously played together in Drop Dead Fred, which was very helpful in that they know how to play and work together effectively which has added to the album process. On the previous records I probably had a larger say on the music, with the first record I and Josh put together a lot of the songs for that with Dan and myself and Dan put together the majority of the material that ended up on The Waystone. This time it’s been different as a lot of the songs musically and even lyrically have had less input from myself than those records. It’s not like it was ever a problem for me in the past anyway as Dan would contribute near completed songs/lyrics to the band with Witchfinder General, Champion, Solidarity and Soul Exchange and Anthony wrote the music for Dreams to Nightmares for example but this time more songs this time are being contributed by individuals then before collaborating on the final version with the band. It still however sounds like Kaine music and the new tracks are starting to take up the majority of our live sets now. We are doing Justice Injustice, Voice in Hell, Afterlife, Heavens Abandonment and Fall of Jericho from the new record and they have all gone down very well. Chris has had a larger say on the musical direction with the new material and has written complete songs for the album as well as lyrics. He’s also been in charge of producing the demos/ghost tracks this time around and has been putting a lot of time into working on those between his work and education. He’s been with Kaine approaching 4 years now so he’s the second senior member after myself and he’s been working very hard on this new album. In terms of record labels we did have a number of offers as I wrote in my last blog, however due to a number of issues we simply weren’t able to come to an agreement with anyone as of yet. The problem as ever is money, where labels essentially want us to front all of the cost of the recording, production, mastering, art, promotion and only want to give us around 75p per album sold in return. Now that wouldn’t be a bad thing if the volume of sales were as such it would ensure we could at least break even on the record but given the size of these labels it’s unlikely they would be able to sell anywhere near enough for us to cover our costs. Although due to the fact they hadn’t spent anything on the album the label would still make a profit which is why those labels exist. There is a very good chance that we will simply self-release the album anyway unless a decent label with a genuine offer came forward. Our objective is to continue to work hard on the road to sell albums. It’s a shame a bigger label hasn’t seen us as potential asset as we are ready to be a full time band at this stage but obvious cannot commit to being one due to having to work full time jobs still as without the necessary paying bookings we still need to pay our own bills. All it would take for us to be a success would be investment, I have tried my best to secure from various avenues and will continue to work at that but this has proven very difficult. We have agreed that even if we were only to make a bare minimum on the road we would gladly give up our jobs and do the band full time now as it’s make or break time for Kaine. 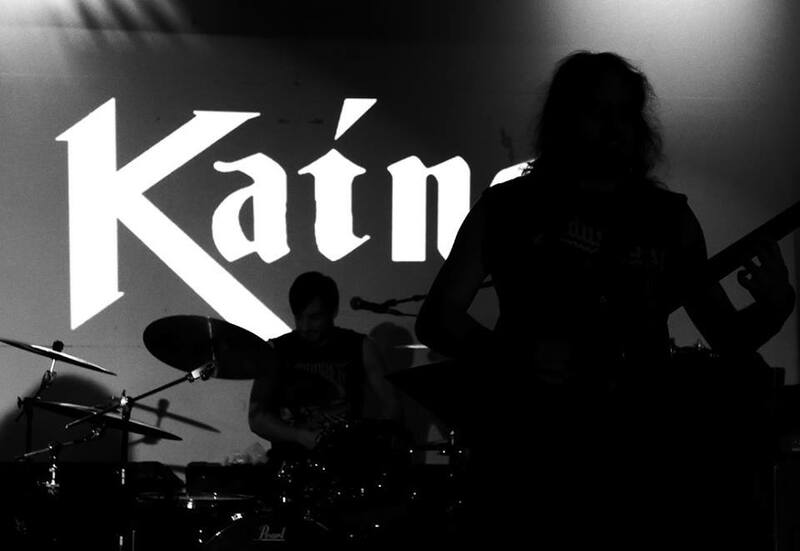 So to round up this month’s blog… the third Kaine album is coming but we won’t be rushing anything. We are working to ensure this is our best release yet and we will record it when we are ready to do so, in the meantime if you want a preview of what some of the songs on the new album will sound like, please check us out live! You can find all of our dates on the Tour Dates tab or subscribe to the events listings on Facebook.